Fill out the booking form below to secure your seat at this Event! Hello Creatives. 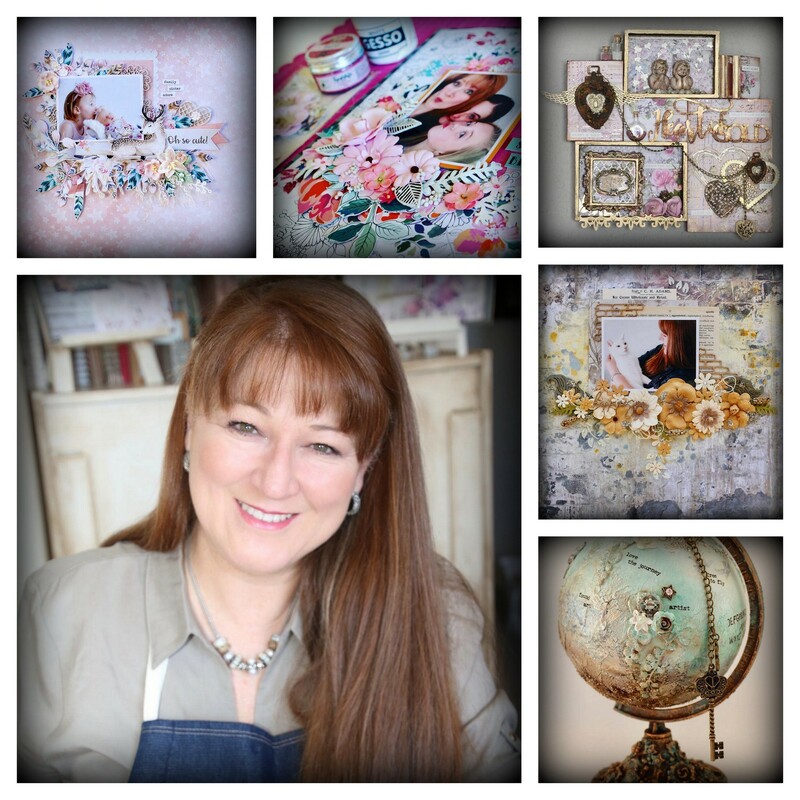 I am super excited and so honored to be teaching at The Scrapbook Studio. I live in the beautiful Cape Winelands on a farm with my awesome and loving husband Martin, and our eight kitties. I am extremely passionate about crafting, especially paper crafting , mixed media and art journaling. Crafting is my “happy place”. I love experimenting with new products. My Design Team appointments include Penelope Dee (2016 - 2017), Pics n Tales Scrapbook Club (2007-2018), Let’s Scrap (2013-2014), and currently Little Birdie Crafts (2018-2019). I have also been invited as a guest designer with Celebr8 and Art From The Heart. I teach regularly at various scrapbook shops in and around Cape Town. In 2018 I participated in KykNET’s Kunsvlyt 2 and ended in the top 3. I enjoy sharing my creativity and I find it very fulfilling if I can inspire someone to craft and create something beautiful. I believe in the therapeutic process of being creative and passionately promote “Creative Play” to bring joy to your life. So, we are thrilled to welcome Ezmé to our fabulous custom built Scrap Shack @ Scrapbook Studio in Jeffreys Bay for a ONE DAY ONLY Event filled with creativity! Price includes a whole day creating with Ezmé as well as a bonus take home kit and a fabulous goodie bag! Refreshments and a light lunch will be served. IMPORTANT: Email proof of payment to events@scrapbookstudio.co.za. We offer personalised payment plans for all our Events. Please send an email to events@scrapbookstudio.co.za to request the Credit Card Payment Form. A non-refundable deposit of R150 is applicable to all bookings. All proof of payments need to be sent to events@scrapbookstudio.co.za and reflect the CORRECT reference number. Should you have paid in full and can no longer attend, the kits will be kept and can be collected or couriered after the event. PLEASE NOTE: Scrapbook Studio Events are designed to be attended in person on the day of the Event. Certain elements that will be available at the physical Event will not be included in the kits sent out after the Event to individuals who did not attend the actual Event. Scrapbook Studio can be contacted for a list of preferred accommodation close to the Venue. Scrapbook Studio Events will, from time to time, send emails with updates of the event. Scrapbook Studio Events reserves the right to alter the date/venue/location should it be deemed necessary. Scrapbook Studio Events will arrange an equivalent Teacher in the unlikely event that the advertised teacher/s can no longer attend. Failure to make payment by final payment date will result in automatic cancellation of the Booking unless prior arrangements were made in writing in advance with Scrapbook Studio Events. Please familiarise yourself with above Terms and Conditions before finalising your Booking. By typing your name in this field you indicate that you agree to the Terms and Conditions of this Event.